Easy to tweet, hard to have an ideology, a political will, an interest in anything but winning, or the frontal lobes of a burnt tuna casserole*! As stated by a portrait of President Obama in a cartoon conversation with Li’l Trumpy, a recent, new character in the Zippy the Pinhead comic strip by Bill Griffith that’s appeared in the St. Paul Pioneer Press for years. The strip was never overtly political until Donald Trump somehow became our president. (Oh, did I say Donald Trump instead of President Trump? Sorry, I meant to say The Big Cheeto**.) Now the strip regularly features new characters like L’il Trumpy and Steve Bunion. Many of these strips end up comparing Li’l Trumpy to a burnt tuna casserole, a perfect simile. Let’s ban all climatologists! Let’s lock up David Brooks! Let’s invade New Jersey! I think I’m going to have to start checking in regularly on what’s going on with Zippy. April 21, 2017 by Steven C SorensenLeave a Comment on Why Are We There? The United States recently dropped an enormous bomb, one of the biggest non-nuclear weapons in existence, in Afghanistan. We dropped it apparently on ISIS fighters. So why in the world are we in Afghanistan?. What is our purpose there? We’ve been there since 2001, we’ve spent billions of dollars. We’ve lost soldiers. Afghani civilians have died. We don’t seem to be any closer to leaving or having a plan or date for leaving. To what purpose all the sacrifices? As far as I can see, all that we’ve done is ousted the Taliban and Mullah Omar from the central government and put in place a central government that is shaky and still needs our presence. That might have felt good in 2001 (revenge is sweet), but it’s sixteen year later and the Taliban is still there and is still fighting. Now there’s a third force in the mix, ISIS, and apparently ISIS and the Taliban fight each other. If the enemy of our enemy is our friend, does that mean we’re now chums with the Taliban and should fight on their side? It’s all too confusing. I wish someone could tell me what our objectives there are. Is it to reduce terrorism? To create a stable, democratic government in Afghanistan? Whatever our objectives were or are, we have failed miserably. We keep coming up with new plans, new strategies for continuing to fail. Perhaps it’s time to put up or get out. During the war in Afghanistan (2001–14), over 26,000 civilian deaths due to war-related violence have been documented; 29,900 civilians have been wounded. Over 91,000 Afghans, including civilians, soldiers and militants, are recorded to have been killed in the conflict, and the number who have died through indirect causes related to the war may include an additional 360,000 people. The Republican health care bill is still having trouble getting enough votes to pass, so Paul Ryan is thinking about placating conservatives by repealing all of these EHBs. This means that a health insurer could literally sell you a policy that didn’t cover doctor visits, hospital visits, ER visits, your children’s health care, or prescription drugs—and still be perfectly legal. What it means to me is that conservatives and Republicans do not want you to have any health care at all if you can’t afford it on your own. You can just die or go into bankruptcy. Who cares? You got cancer because you’re a bad person. Check out Kevin’s blog. He is posting a storm about the farce that the Republicans are trying to foist upon us all. Hopefully, they will fail miserably [they did!!! ], thus preserving the status quo that is far, far better than anything the Republicans have been able to come up with even though they’ve had at least eight years. More like 70 years if you go back to Harry Truman’s attempt to implement health care that was, of course, foiled by the Republicans. This is the headline of an opinion piece in The Guardian. Ms West’s article contains many spot-on quotes describing today’s debased version of the Republican party. I will provide a few but suggest that you read the article in full. I don’t know that America has ever seen a political party so divested of care. Since Trump took office, Republicans have proposed legislation to destroy unions, the healthcare system, the education system and the Environmental Protection Agency; to defund the reproductive health charity Planned Parenthood and restrict abortion; to stifle public protest and decimate arts funding; to increase the risk of violence against trans people and roll back anti-discrimination laws; and to funnel more and more wealth from the poorest to the richest. Every executive order and piece of GOP legislation is destructive [emphasis added], aimed at dismantling something else, never creating anything new, never in the service of improving the care of the nation . . .
[There is a] void at the heart of the [Republican] party, that loss of any tether to humanity . . . I got an e-mail today from the Southern Poverty Law Center. Below is the meat of the e-mail. Note that every statement of fact is well documented. The fear of foreigners, the belief that refugees and immigrants are dangerous, the desire to keep them out — none of these things are new. But as our Teaching Tolerance project wrote this week in an updated post, these fears are often based on misinformation and lies. It’s a myth, for example, that immigrants don’t want to learn English. According to the U.S. Census Bureau, 56% of first-generation immigrants speak English “well” or “very well,” and the demand for English instruction actually far outstrips supply. It’s a myth that immigrants are violent or criminal. According to a new report by The Sentencing Project, immigrants commit crimes at lower rates than native-born citizens. Higher levels of immigration may even have contributed to the historic drop in crime rates, researchers say. In the run-up to both Muslim bans, perhaps the most widely circulated myth has been that refugees are not screened before entering the country, that banning them will keep the U.S. safe from terror. But we know that refugees undergo more rigorous screenings than any other individuals the government allows in the U.S., and we know that no deaths in the U.S. have been attributed to people from the countries covered by either executive order in the last 30 years. All of these myths, however far-fetched, are based on the same dangerous falsehood: that immigrants and refugees are somehow not like us. That they’re not students in search of an education. That they’re not families trying to make ends meet. That as “somebody else’s babies,” they don’t belong here. Some of my own thoughts: We Homo sapiens have been moving, migrating, traveling, wandering, fleeing since we became Homo sapiens. Migration and movement are among the most fundamental currents in human history. Migration has never been stopped in spite of numerous attempts to do so. Migration will never be stopped. The Romans tried. The Chinese tried. We Americans have tried in the past. These attempts have never been successful. It looks like we’re about to embark on an expensive, foolish, futile attempt to do so. An attempt doomed from the start to failure. Why not tear down the walls? (Didn’t a Republican president say something like this?) ACCEPT immigrants and allow them to become a productive part of our society instead of condemning them to be outcasts on the peripheries. Well, I’m not an immigrant, but all of my grandparents were. All Americans can make a similar statement. Even Native American ancestors came from Siberia. The great Barbara Kingsolver, author of The Poisonwood Bible and The Bean Tree books, published an article today in The Guardian – a call on everyone to marshal their talents and decency to fight the onslaught of hate, fear, all sorts of phobias, lies, and bad government. I quote at length, but please read the entire article.
. . . we can’t hole up for four years waiting for something that’s gone. We just woke up in another country.
. . . Losses are coming at us in these areas: freedom of speech and the press; women’s reproductive rights; affordable healthcare; security for immigrants and Muslims; racial and LGBTQ civil rights; environmental protection; scientific research and education; international cooperation on limiting climate change; international cooperation on anything; any restraints on who may possess firearms; [any] restraint on the upper-class wealth accumulation that’s gutting our middle class; [any] limits on corporate influence over our laws.
. . . We’re in new historical territory. A majority of American voters just cast our vote for a candidate who won’t take office. A supreme court seat meant to be filled by our elected president was denied us. Congressional districts are now gerrymandered so most of us are represented by the party we voted against. The FBI and Russia meddled with our election. Our president-elect has no tolerance for disagreement, and a stunningly effective propaganda apparatus. Now we get to send this outfit every dime of our taxes and watch it cement its power. It’s not going to slink away peacefully in the next election. . . .wear something on our sleeve that takes actual courage: our hearts. I’ll go first. If we’re artists, writers, critics, publishers, directors or producers of film or television, we reckon honestly with our role in shaping the American psyche. We ask ourselves why so many people just couldn’t see a 69-year-old woman in our nation’s leading role, and why they might choose instead a hero who dispatches opponents with glib cruelty. We consider the alternatives. We join the time-honored tradition of artists resisting government oppression through our work. Kingsolver continues with what to do for journalists; consumers of art, literature, film, TV and news; teachers; scientists; women suffering from sexual assault or body image disorders; Facebook users; workers. refuse to disappear. We keep our commitments to fairness in front of the legislators who oppose us, lock arms with the ones who are with us, and in the words of Congressman John Lewis, prepare to get ourselves in some good trouble. Trump’s election is not the continuation of normal American politics. We all need to step up. I can do my part, even if it is a small part, by writing more regularly in my blog about politics and current affairs. 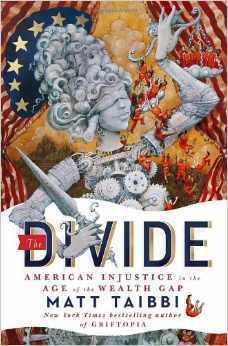 Today, for example, I can write about and link to Kingsolver’s article. [Trump,] a candidate who openly called for mass deportation, war crimes, disbanding NATO and a trade war is now ahead in Nate Silver’s “now-cast” of polling results. The great unknowable about America is what would happen if fascism were actually on the ballot. It’s never happened before. But if you thought fascism would be taboo, the American people are proving you wrong. So the Clintons have a real task ahead this week. They have to keep the focus on the unique and unprecedented threat that Donald Trump poses to liberal democracy and constitutional order. This [Trump’s speech] is a very new departure for politics in a liberal democracy. We’ve never heard an appeal from a major party platform to junk traditional democratic norms, and cede power to a new tyrant, whose magical powers will somehow cause almost every problem in the country to disappear. In this election, the very basis of liberal democracy is on the ballot. . . . fears . . . about the popularity of tyranny in a late-democracy have, I’m afraid, only been fanned by events since. The speech is entirely about fear, to be somehow vanquished by a single man’s will to power. Its core message is what America was founded to resist. Its success would be an abolition of the core promise of this country for two centuries – that self-government is incompatible with the rule by the whims and prejudices and impulses of a man on a white horse. It can happen here. It is happening here. No election has been more important in my lifetime. Nor in mine, which goes back to seeing I Like Ike buttons while riding the bus to grade school in the 1050s. Ike and Ronald Reagan are both probably turning in their graves because of what their party has become. This is from day three of the DNC convention. I’ve never felt this way about a president, so I might as well admit it. Against hideously graceless opposition, in the face of extraordinary odds, facing immense crises, he [Obama] stayed the course and changed this country. This election is, at its core, about not letting a bigot and a madman take that away from all of us. It is an election to keep the America that Obama has helped bring into being, and the core democratic values that have defined this experiment from the very beginning: self-government, not rule by a strongman; pluralism and compassion rather than nativism and fear; an open embrace of the world, and not a terrified flight from it. There you have it. Remember to vote for Hillary come November! I posted a few days ago regarding the mainstream media’s reluctance to use the word “liar” to describe Donald Trump. I since have noticed with pleasure that the editors of The Huffington Post have started adding the following note to their posts about Trump. “Falsehoods” comes close but is still more passive than “lying”. I suppose the media prefer to use long words. “Lie” must be too short; it’s only three letters. We have more billionaires in this country than any other nation on earth. We also have more child poverty than any other major industrialized nation. We have the highest rate of student debt. We have more prisoners, more homeless people and more economic inequality. It doesn’t have to be this way. These conditions are the result of deliberate policy decisions. We provide outrageous tax loopholes for billionaires and large corporations. The top tax rate is less than half of what it was during the postwar economic boom. The real minimum wage has fallen dramatically since the 1960s. After listing the questions, Bernie describes the better choices. I am not going to try to reiterate what Bernie says so well. Please read the article yourself, especially if you are not yet familiar with Bernie’s views. Live blogging – Dana Milbank on CBS this morning. Says that the Sanders campaign is “not about Bernie Sanders.” Bernie is simply filling a niche. Progressives are looking for a candidate with progressive views, and Sanders has stumbled into the niche. He dismisses Sanders as a candidate with no charisma. If that is true, then there are a lot of people who don’t seem to care about charisma. Does the media and Milbank think that the crowds showing up to see Sanders are meaningless? What pure s##! Sanders is charismatic because he tells the truth. Sanders is charismatic because he speaks up to power. Sanders is charismatic because he never tries to be charismatic. Sanders is charismatic because he addresses the issues seriously without depending on dumbed-down talking points. Sanders’ charisma is a completely new kind of charisma that the media doesn’t seem to understand. It owes nothing to hyperbole, sound bites, pandering, tailoring his message to his audience, etc. Here is another questionable item in the media. Yesterday the St. Paul Pioneer Press ran a small item from the Associated Press (AP) headlined “Sanders draws big crowds in Madison”. I will quote from the article and then change the quote a bit to show how the words used by the media to describe Sanders are biased. The bias may be intentional, but it is there and it is damaging. Sanders . . . is trying to appeal to the most liberal Democrats with his message of raising the minimum wage to $15 an hour, bridging the gap between rich and poor, criminal justice reform and raising taxes on the wealthy and Wall Street. Sanders . . . is trying to appeal to Americans with his message of raising the minimum wage to $15 an hour, bridging the gap between rich and poor, criminal justice reform and raising taxes on the wealthy and Wall Street. Successful presidential candidates do not try to appeal only to a section of their own party. If they do, they are not serious and won’t succeed. Sanders is serious. He is speaking to everyone. He can succeed even if the media still seem unable to avoid labeling him. Polls show that majorities of Americans agree with his proposals. So how is it that the media still insists on describing him as a radical? June 11, 2015 by Steven C SorensenLeave a Comment on What Can We Do? My niece commented on a post of mine a few weeks ago. I don’t remember the exact words. They asked what can we do to make people understand what’s happening in our country. How can we wake up those who support the likes of Scott Walker and Sam Brownback and Rick Scott who are destroying their states in furtherance of a fundamentalist ideology that seeks to privatize everything. I was thinking about pulling together my thoughts on the subject and writing a post, but this morning I heard Hedrick Smith on PBS. He has set up a website, Reclaim the American Dream, that answers the question much better than I can do. Check it out if you want to get involved. Also, look into Hedrick Smith’s biography to ensure yourself of his top-notch credentials. The Republican picture of food stamp use. The Republicans base their world view on anecdotes. A woman with an iPhone was spotted using food stamps thus all food stamps users are abusing their stamps. Too bad that the true picture is lost – to Republicans – beneath such anecdotes. We need a new name for conservatives. Many of their proposals are actually reactionary and dangerous. They are nineteenth century. They are supported by Fox TV. They are the Nineteenth Century Fox movement. Julian Sanchez, a CATO Institute [a conservative think tank] fellow who specializes in the areas of privacy and surveillance, was perhaps the first to concisely distill the alternate reality that has been created by the continuously cross-referencing circle of conservative media outlets. Conservatives live in a bubble of epistemic closure in which narratives and ideas that feed a particular narrative are introduced, reinforced and then judged to be accurate simply by virtue of having been presented by the correct media authorities. It doesn’t matter if whatever is being claimed has an actual basis in objective reality: once an idea that pleases the conservative id has taken root, it is mighty hard for truth to pierce the bubble of fantasy. This is why President Obama can in the conservative mind be a Kenyan, a Muslim, a socialist, and a black liberation theologist all at the same time. It’s why no amount of evidence can ever convince conservatism the climate change is real. It’s why they view it as a fact that Obama is killing jobs and exploding the deficit, even as the facts are exactly the opposite on both counts. And it’s also why the Affordable Care Act is simply known to be a disaster that is ruining lives, damaging employers, and constraining freedom, even as in reality it is reducing costs, saving lives, and making health insurance affordable for people who have gone far too long without it. when conservatives are forced to venture outside the circle of epistemic closure and actually confront the world outside the bubble, the results are hilarious. . .
What can we use as a substitute for Grand Old Party (GOP)? How about God Awful Party (GAP)? Party of Idiots (POI) seems too obvious and not especially clever. How about the POOL Party – Party Of Obstruction, Obfuscation, and Lies? If I think too much about what I’m trying to do with this post, I get sad. It’s hard to be funny about something that has brought our country to ruin. Where else to turn but to humor? Perhaps humor is the best defense against today’s GOP. They do so many laughable things. How can one take them seriously? Let’s use the humor that the GOP seems so willing to deliver while remaining oblivious to how they open themselves to ridicule. When Senator Jim Inhofe, a Republican from Oklahoma, produced a snowball on the Senate floor as evidence that climate change is a hoax he actually seemed serious. Why didn’t Senate Democrats simply laugh him off the floor? Their laughter would have been justified. Let’s all join in and start laughing at these fools. Laughing is much better than despairing or crying. I’ve seen quoted a number of different estimates of how much the US plans to spend fighting the Ebola epidemic in west Africa. The highest I’ve seen is $100 million. The cost of the fight against ISIS? This doesn’t make sense. Why are we spending so much more on the war against ISIS than we are on fighting the Ebola epidemic that rages unabated? Why does America fear ISIS much? Why do not Americans fear Ebola as much? I don’t know. Perhaps it is because of the brutal videos of the beheadings by ISIS of American journalists? The pictures I see coming out of Africa are of people who are obviously sick. But a video of a beheading trumps a picture of a sick person or videos of people walking about in moon suits. Is that not shameful? The Gates Foundation has pledged $50 million. Republicans don’t even want to spend as much on Ebola as does a private foundation. They sure are willing to spend money on endless wars in the Mideast, but not much on impoverished, black Africans. Over those same years, though, I’ve found that my “belief” in politics, has diminished. If, before, I thought that electoral politics mattered—and I did; I was the one going door-to-door in swing states—now I have a hard time holding on to that belief. If I thought that government, our government, because it is of and by and for the people—that is, because it is us—existed to make our lives together more tenable, well, let’s just say that with my tax dollars going to support Gitmo, the militarization of the police, subsidies to oil companies, and on and on, I’ve become much more cynical. Wouldn’t it be nice if, when we paid our taxes we could tell the government where we wanted our money to go—to the National Parks, say, and not to those oil companies—but of course that’s not the nature of democracy. Andrew Sullivan is a conservative, but not of the type that has driven the Republican Party so far to the right. If he is a conservative then I must be, in part, a conservative, although I like to think of myself as a progressive libertarian. I agree with libertarian views on individual rights, but their believe in free market economics is wrong. The freest markets exist when government at least attempts to ensure a fair and safe market. Regulated capitalism is the route to the greatest freedom as long as the regulations aren’t devised or implemented to benefit big business at the expense of individuals and the country at large. Whatever your political persuasion, check out The Dish. It is information and fun.
. . . at the end of a long evolutionary process, in which the rule of law has been replaced by giant idiosyncratic bureaucracies that are designed to criminalize failure, poverty, and weakness on the one hand, and to immunize strength, wealth, and success on the other. If you grew up well off, you probably don’t know how easy it is for poor people to end up in jail, often for the same dumb things you yourself did as a kid. The traumatic Lehman experience has scared most governments into believing that large global banks must not be allowed to fail. Should any of these large banks get into serious difficulties, however, we may discover that they are not only too big to fail but also too big too save. There will be no good options. So, what is to be done? 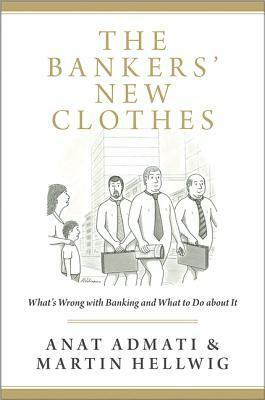 The wisest course might be to break up the large banks, but I don’t think – given current politics – that will happen. Tougher regulation? Also politically unlikely. Are we stuck with the risky status quo? Afraid so! I write daily Morning Pages, usually, but not always, actually in the morning, late morning. I learned about Morning Pages in Julia Cameron’s book. I sometimes find them a chore when I am at a loss words or energy. Eventually I manage to finish and find that writing the pages helps me make decisions and plans, although that is not necessarily the goal. Like meditation, writing Morning Pages is best approached without any concrete goals. One simple writes what enters one’s head and comes out at one’s fingertips. 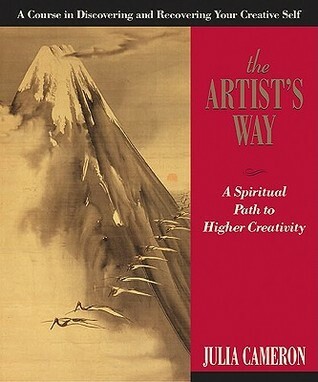 Julia Cameron says that you should write three pages a day. I’ve translated that in Penzu.com to 600 words. I remember from my high school typing class that one typewritten page is 200 words. Am I right about that? This morning I had a mini-writer’s block. Below is what I wrote. And now what do I write about? Yada Yada Yada. The beat goes on. Keep on the sunny side. Don’t stop believing. Carry on. Full speed ahead. Damn the torpedoes. All men on deck. Hurrah. Man your battle stations. Do your best. Nuts! Put your best foot forward. Never say die. Red sky at night, sailors delight. A stitch in time . . . Let’s all pull together. We shall overcome. What did Tom Joad say in The Grapes of Wrath when he finally left his family? (I just Googled it. Sometimes the internet and search engines come in handy). Wherever you can look – wherever there’s a fight, so hungry people can eat, I’ll be there. Wherever there’s a cop beatin’ up a guy, I’ll be there. I’ll be in the way guys yell when they’re mad. I’ll be in the way kids laugh when they’re hungry and they know supper’s ready, and when the people are eatin’ the stuff they raise and livin’ in the houses they build – I’ll be there, too. This is what Henry Fonda says in the movie. I don’t know if it is a direct quote from Steinbeck. Democracies that are under the threat of destruction face the impossible dilemma of either yielding to that threat by preserving the democratic niceties, or violating their own principles by curtailing democratic rights. The right of the people to be secure in their persons,houses, papers, and effects , against unreasonable searches and seizures shall not be Violated, and no Warrants shall issue, but upon probable cause, supported by Oath or affirmation, and particularly describing the place to be searched, and the persons or things to be seized. Can anyone read the Fourth Amendment and not come to the firm conclusion, regardless of what the courts and the executive branch say, that NSA surveillance is unconstitutional? Does NSA surveillance particularly describe the persons, places, or things to be searched? No. 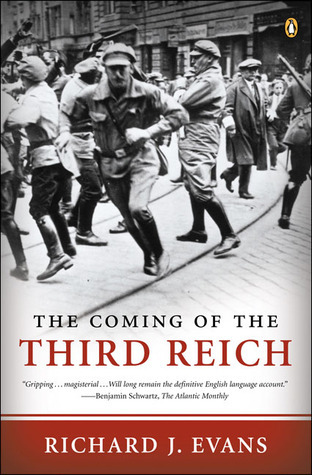 The death of democracy in Germany was part of a much broader European pattern in the interwar years; but it also had very specific roots in German history and drew on ideas that were part of a very specific German tradition. German nationalism, the Pan-German vision of the completion through conquest in war of Bismarck’s unfinished work of bringing all Germans together in a single state, the conviction of the superiority of the Aryan race and the threat posed to it by the Jews, the belief in eugenic planning and racial hygiene, the military ideal of a society clad in uniform, regimented, obedient, and ready for battle – all this and much more that came to fruition in 1933 drew on ideas that had been circulating in Germany since the last quarter of the nineteenth century. Some of these ideas, in turn, had their roots in other countries or were shared by significant thinkers within them . . . they came together in Germany in a uniquely poisonous mixture, rendered all the more potent by Germany’s preeminent position as the most advanced and most powerful state on the European Continent. explain hard-times conservatism, to understand the enthusiasm for an anything goes economic arrangement that persists in spite of all the failures and bank-breaking catastrophes that our previous effort to achieve such an arrangement have inflicted upon us. Wall Street had gambled with the world’s prosperity; Wall Street had brought about a financial catastrophe; and yet Wall Street was to get the kind of government help that you and I will never receive. And Wall Street now is only a bit more regulated than before the Great Recession. The big banks have gotten bigger and pose much more of a too-big-to-fail risk than before 2008. What gives? I think the obvious answer is that Washington does not want to limit the big-business fat cats’ opportunities to cash in. Republicans and Democrats alike seem unable to rein in corporate misbehavior – many probably don’t want to. Who would fund their campaigns if not big business? Not the unions. Corporate interests have managed to just about emasculate the union movement in the United States. ‘ . . . our leaders allowed the biggest banks to get even bigger. They offered the banks an open-ended guarantee against failing without really restricting their activities – a guarantee that might well encourage them to bet on the riskiest propositions available, secure in the knowledge that the taxpayer would make good their losses. 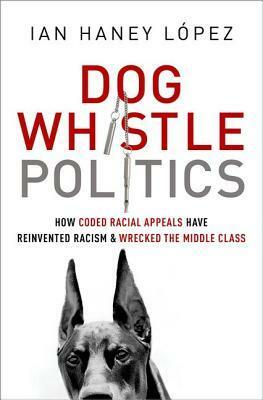 Lest you think that this book is a partisan screed, the author does not hesitate to criticize the Democrats. the Democrats tried to have it both ways: to deliver the occasional liberal measure here and there while studiously avoiding traditional liberal rhetoric. The bailouts, the stimulus, the health-care debate: with each of these issues, the path of expertise led the Obama administration toward compromise with the power of wealth.
. . . each time political adversity has come, the Obama team has compromised in the direction of Wall Street, as though that was who needed to be mollified. There are many more pithy and cogent passages in Pity The Billionaire that I could quote. I suggest that you pick up a copy and read it for yourself. 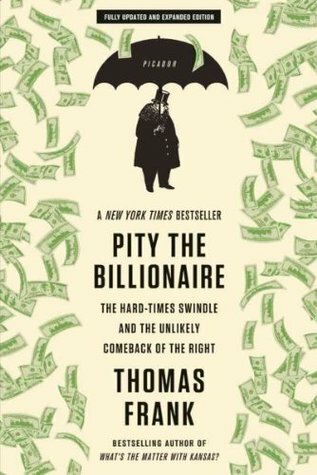 There have been dozens of books on the Great Recession; its causes and its aftermath; this is one of the more enjoyable that I’ve read. Given the unique power of the state, it is not enough for leaders to say: Trust us, we won’t abuse the data we collect. History has too many examples when that trust has been breached. Our system of government is built on the premise that our liberty cannot depend on the good intentions of those in power; it depends on the law to constrain those in power. I found the above lines of Obama’s speech of yesterday compelling because I feel that there is already too much “trust me” in government today, even in the Obama administration. There was a lot of “trust me” in Obama’s speech, although if the initiatives he suggests are implemented our privacy will be greater than it is presently. Our Founding Fathers were not trusting people. They thought that no one individual should be entrusted with unrestrained power. That remains the one of the key foundations of a society that abides by the rule of law. Stalin’s solution to the trusting of individuals was to execute, deport, or imprison anyone who he thought threatened his power. He did his best to concentrate all power in himself. In our system, power is dispersed widely and I think it has always been seen as a threat to our way of life when one sector grabs too much power, whether government or business. . . .the challenges to our privacy do not come from government alone. Corporations of all shapes and sizes track what you buy, store and analyze our data, and use it for commercial purposes; that’s how those targeted ads pop up on your computer and your smartphone periodically. Again, I am glad to see this stated by Obama. But at the same time I read of the idea of allowing private organizations like Google to store metadata about our phone conversations instead of the NSA or other government organizations. I would much rather trust the government not to misuse such metadata than I would trust a large corporation. I listened to the speech with mixed feelings. Still too much “trust us”, but moving towards a better situation than exists today.